A COMPLETE AND BALANCED SPORT Swedish Fit is a complete sport developed in collaboration with doctors, physiotherapists and osteopaths. Each session is structured in several sequences for an optimal stimulation of the cardiovascular system, muscles and joints preserving the physical integrity of every participant. Not to mention the balance and coordination exercises, recommended to maintain and strengthen the psychomotor skills. The sequences are linked for maximum energy expenditure without exhaustion: warm-up movements, cardio exercises, muscle strengthening, active recovery, and finally stretching. THE BENEFITS OF SWEDISH FIT Regular and varied practice provides: A stimulation of the cardiovascular system A greater endurance A muscle reinforcement A calorie expenditure A better flexibility A finer posture A better balance A reduction of stress and anxiety Joy, good mood and well-being (tested and approved!) THE JOY OF MOVING! 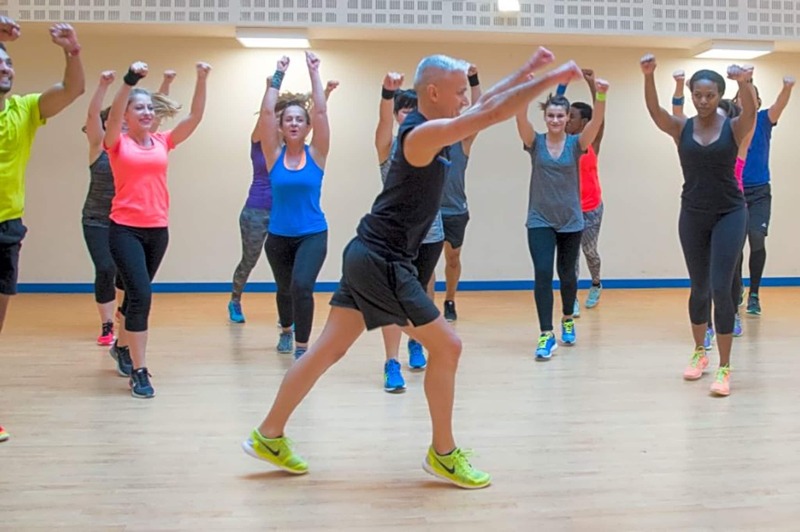 In a circle around the Swedish Fit instructor, participants reproduce simple movements to the beat of lively music. A Swedish Fit session is a unique opportunity to take care of your well-being and to blow off steam in a friendly, non-competitive and performing way. This subtle alliance between fun music and physical exercise will boost your morale and release these famous welfare hormones called endorphins!